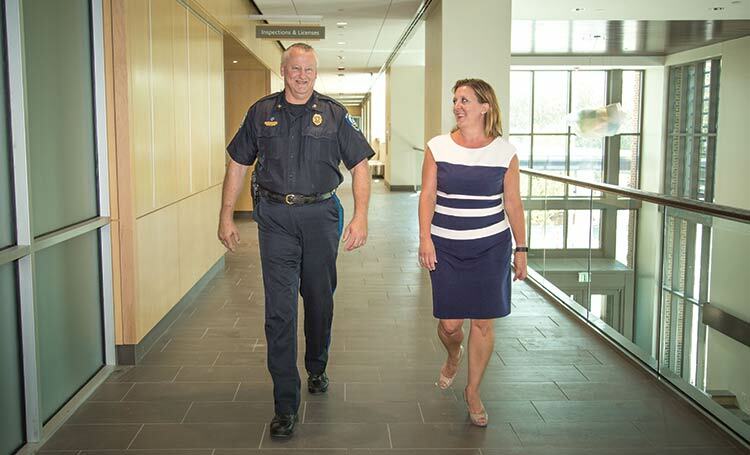 Director of Planning and Development Christiane Farrell and Police Chief Carl Ritchie were among the department heads who helped design the new Town Hall. 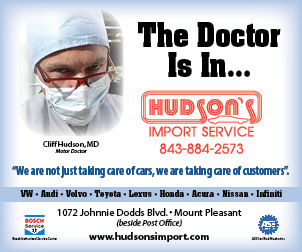 Mount Pleasant had almost everything: wonderful schools, great shopping, fantastic restaurants. But the town had been lacking in one area – a multifunctional, state-ofthe- art Town Hall. The buildings that comprised Mount Pleasant’s Town Hall for the past few decades have been adequate, but, as the sleepy little village grew and expanded into the town it is today, the need for a new and more efficient way to serve its ever-growing population has become apparent. The new Town Hall does that job well, and the 92,000-square-foot building also oozes the history and charm that are unique to Mount Pleasant. It was important that administrators were consulted and involved in the design of their new work space, according to Police Chief Carl Ritchie. For the first time, all the town’s departments are combined into a single unit, and each is equipped with the proper tools to complete its job of operating a vibrant municipality, now and for at least the next 75 years. Meetings were held to garner opinions and suggestions from the public, department heads were consulted and included on all decisions and committees were formed – such as the Finishes Committee and Furniture Committee – to guarantee that all details would not only contribute to efficiency but would also integrate the charm of the town into the project. In the end, the Town Council realized the need, listened to the opinions of local residents and acted to provide a multifaceted building that caters to each department’s needs while also offering a communal building where the public can congregate. Director of Planning and Development Christiane Farrell emphasized the significance of the public’s involvement. Because the Town Hall was going to serve the public, all opinions needed to be heard in order to meet the needs of all residents and town employees. One of the most important aspects of the new building is the flow of the design and the larger and more organized work spaces. Although there are private offices, the majority of the employees will do what they do at work stations. Another area of improvement over the previous Town Hall buildings is the meeting rooms. Before, few conference rooms were available. In the new building, multiple meeting rooms of various sizes were included to take care of the needs of the staff. 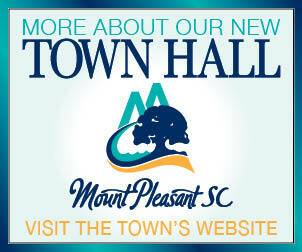 In addition, the new Town Hall has meeting rooms in the lobby to serve the public. Department heads were heavily involved in the design of their new quarters. Police Chief Carl Ritchie explained how important it was that administrators were consulted and involved in the design of their new work space. “The town’s leadership recognized that we knew best how a Police Department should be designed for safety, functionality and security,” Ritchie commented. 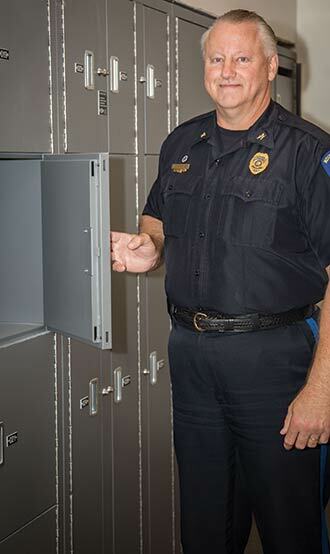 The police headquarters is now equipped with safety components the former building lacked. Such improvements include what is known as a “sally port,” an area in the back of the building that allows police officers to bring prisoners into a secure area. In the past, prisoners were transported through the main headquarters area, exposing other employees to a potentially dangerous situation. “I am pleased to say the architects and town leadership listened, and we have a Police Department that is secure yet functional and will enhance our agency’s ability to protect and serve those in our community,” Ritchie commented. With the completion of the first phase of the Mount Pleasant Town Hall project – the construction of the main building – all those who participated in the committees will see their dreams and visions come to fruition. The construction of the new building was a town-wide effort. When the heartbeat of Mount Pleasant government moved into the new building during the summer of 2017, the town was complete: schools, shopping, restaurants and a Town Hall that was a source of pride for all. I visited the Planning department today. It really looks Lovely and I am so glad there is security at the front door! We have come a long way from a 1 horse town!! Once the streets are paved it will look like a dream come true! As a lifetime resident I am very proud of the way it looks!